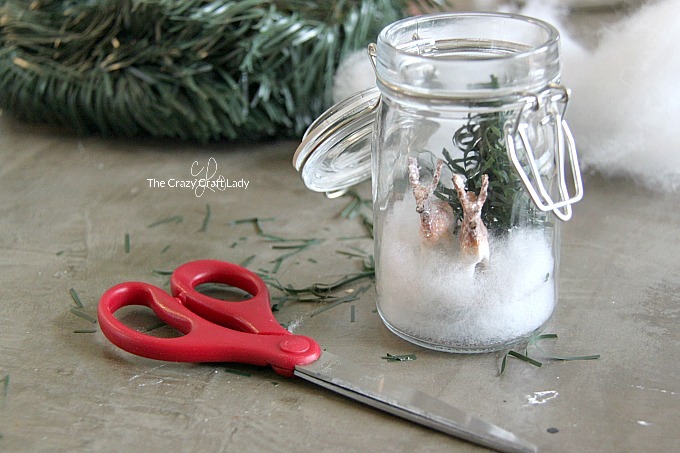 How to make a mini snow globe in a glass jar. 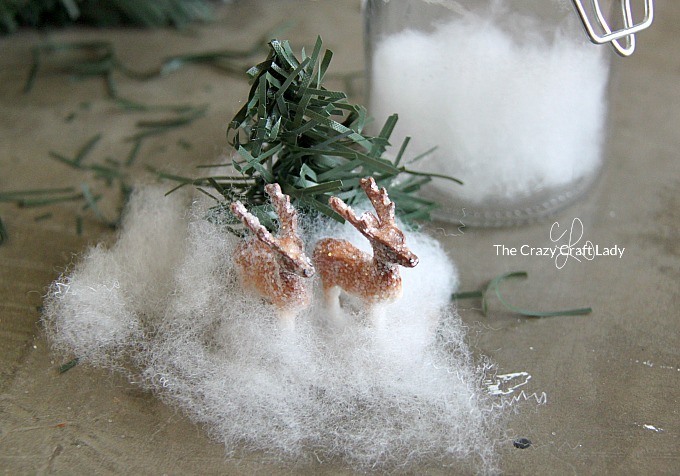 This simple winter craft will make a beautiful addition to your winter decor. 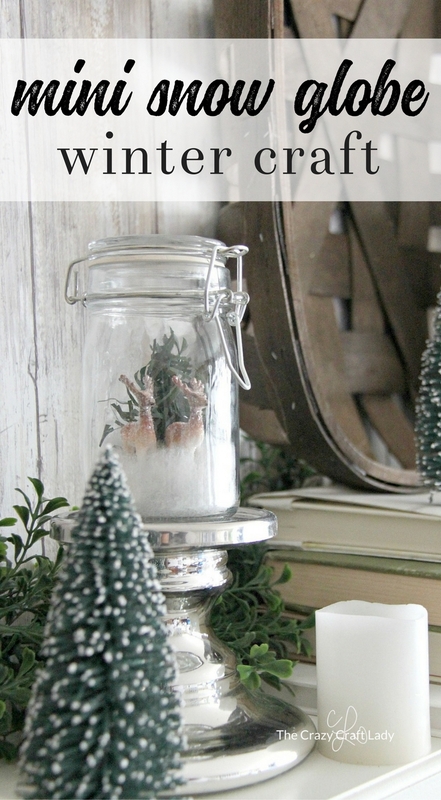 How to make a DIY glass jar snow globe. 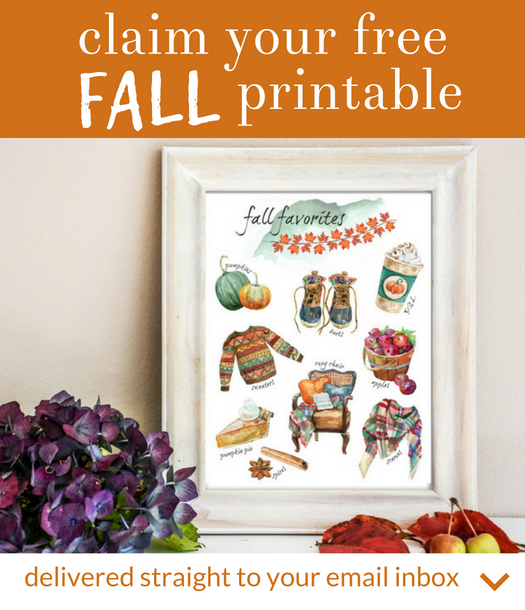 This craft first appeared over at Princess Pinky Girl where I’m a contributor. Each winter, I struggle with my decor just a bit. See, I get all excited about decorating for Christmas, but then you don’t get to enjoy it for very long. You get much more reward for your decorating efforts when you craft and decorate for winter, instead of just Christmas. 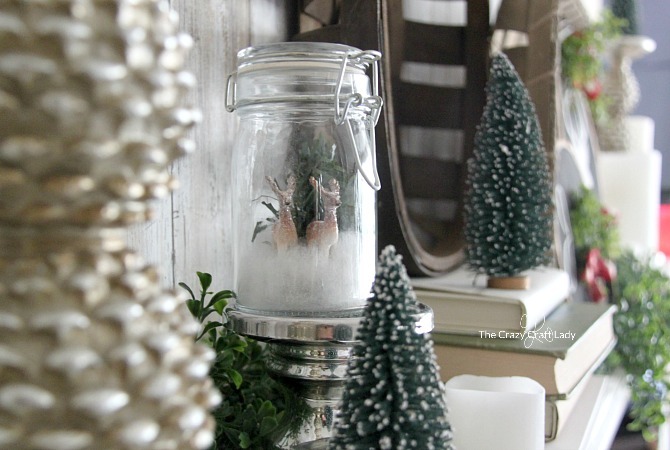 Related: Use dollar store supplies to make a snowy winter scene in these DIY mason jar snow globes. 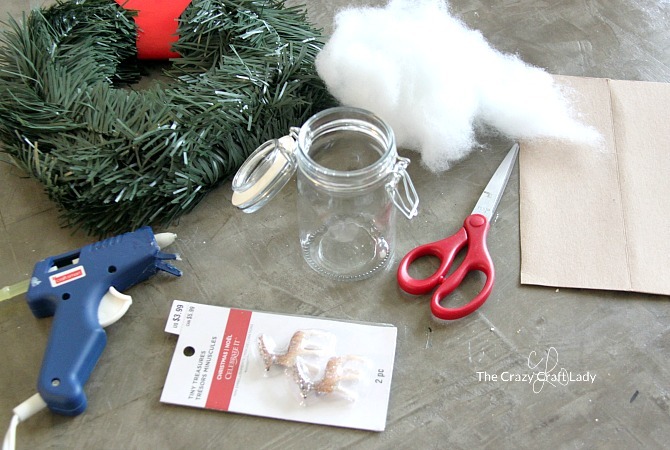 Follow this simple tutorial and learn how to make a dollar store snow globe jar. 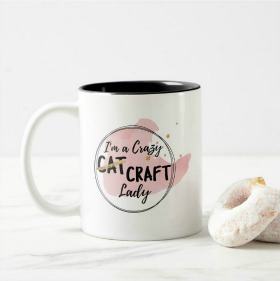 That’s exactly what this craft today is all about. 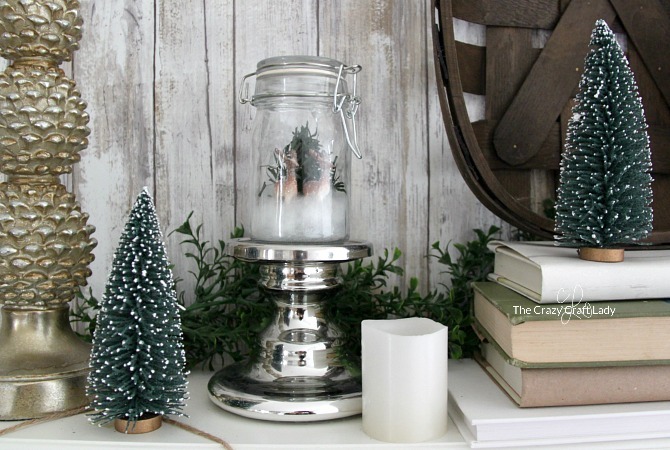 You can display this little snow scene glass jar all throughout the winter. Cut a small circle of cardboard, just smaller than the opening of the jar. This will serve as the base of your snow globe scene. Hot glue the plastic deer to the cardboard base. You could also use a little red truck or a snowman. So cute! Trim a small sprig of faux garland (I buy my garland at the dollar store!). Trim the top, so that your spring of garland is in the shape of a tall triangle, resembling an evergreen tree. Hot glue the bottom of the garland piece to your cardboard base. Prop it up while the hot glue dries. Add a little batting around the base of the figurines and garland. Flatten it with the blunt end of a pair of scissors, so that the figurines aren’t “buried” in the snow. Line the bottom of the glass jar with a thin layer of batting. 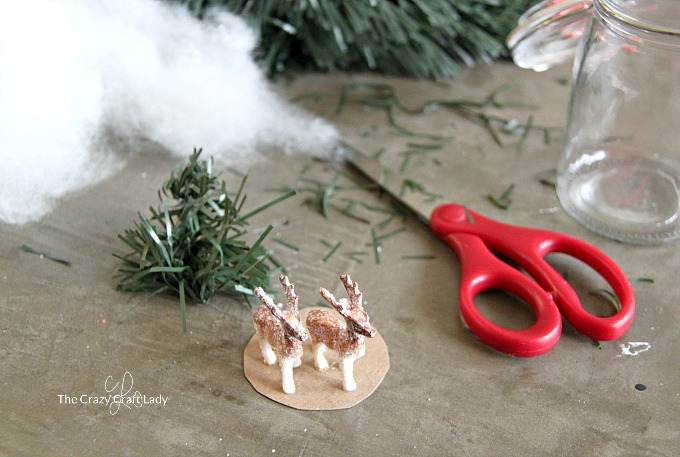 Then gently slide the winter scene and its cardboard base into the glass jar. Use the blunt end of a pair of scissors again to poke down the batting until the winter scene is level and your snow looks nice. Close the jar. 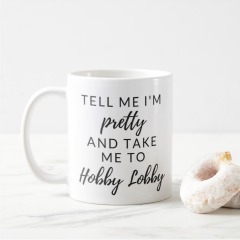 Then display and enjoy! I chose to display my little glass jar snow globe on top of a candle stick along with my other winter mantel décor items. I think it’s fun to use something other than candles on candle sticks. You should give it a try! If you love simple and inexpensive seasonal decor as much as I do, you’ll love these budget-friendly winter pillow covers and easy DIY boxwood wreaths. 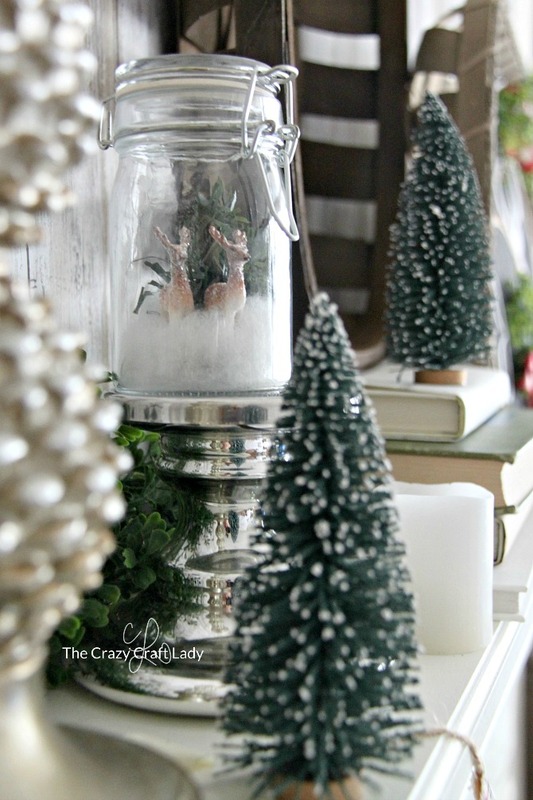 They’re all perfect for changing up your decor after Christmas has passed, just like this snow globe craft.